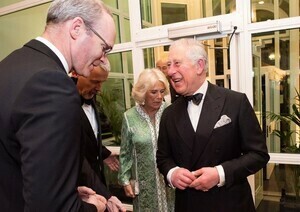 Britain’s Prince Charles and the Duchess of Cornwall, greeted above by Minister for Foreign Affairs Simon Coveney, was guest of honour at a St Patrick’s dinner to celebrate Irish artists in Britain. 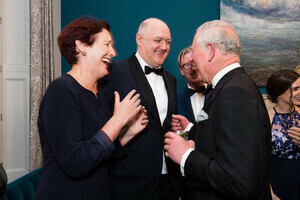 Prince Charles meets actress Fiona Shaw and comedian Dara Ó Briain . 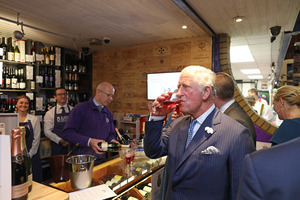 Posted in Misc and tagged London, Prince Charles at 9:58 am on March 7, 2019 by Bodger. 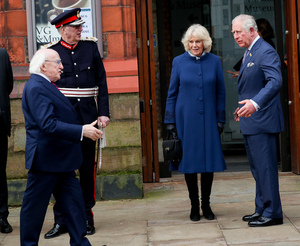 President Michael D Higgins has met Prince Charles and his wife Camilla during a day celebrating the culture, history and people of Liverpool. 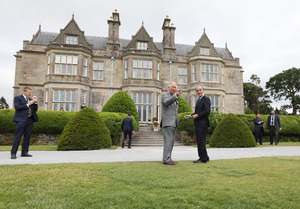 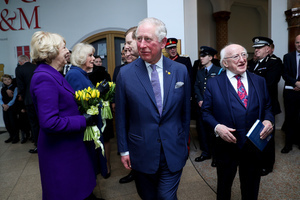 President Higgins and Prince Charles signed a scroll making them joint patrons at the Institute of Irish studies at the University of Liverpool. 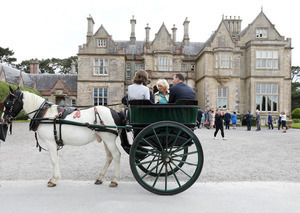 The event was attended by the Irish Ambassador to the UK, Adrian O’Neill…. 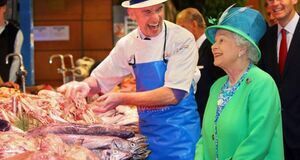 Goodness me, and what brings you to Liverpool? 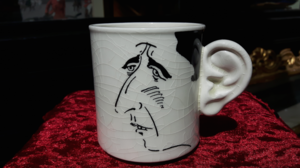 And sure now and I might ask you the same question! 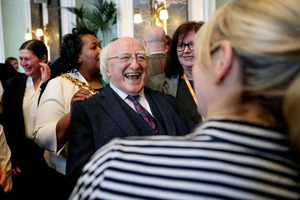 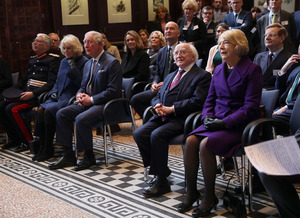 Posted in Misc and tagged President Higgins, Prince Charles at 3:20 pm on February 12, 2019 by Bodger. 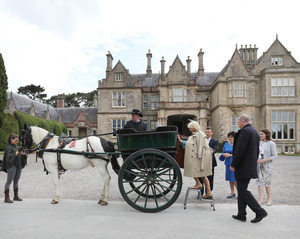 Camilla, Duchess of Cornwall, rides a jaunting car while Britain’s Prince Charles enjoys the view with Dr Philip Buckley of the OPW. 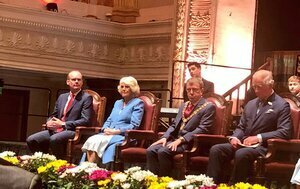 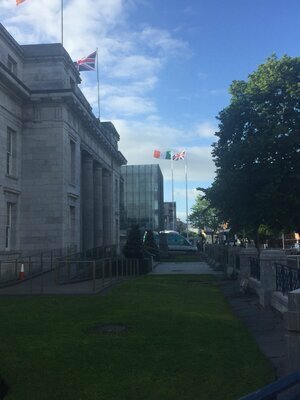 During their visit to Ireland, the Prince of Wales and the Duchess of Cornwall visited Cork yesterday, and are visiting Kerry today. 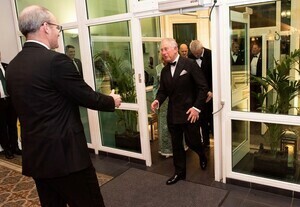 Posted in Misc and tagged Prince Charles at 4:58 pm on June 15, 2018 by Bodger. 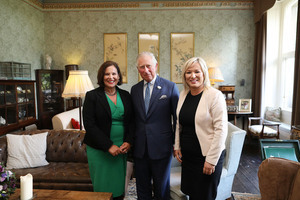 Fianna Fáil leader Micheál Martin and Sinn Féin’s Mary Lou McDonald and Michelle O’Neill meet Britain’s Prince Charles during his two day visit to Cork and Kerry which concludes today. 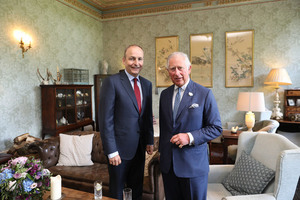 Posted in Misc and tagged Prince Charles, Sinn Fein at 10:46 am on June 15, 2018 by Bodger. 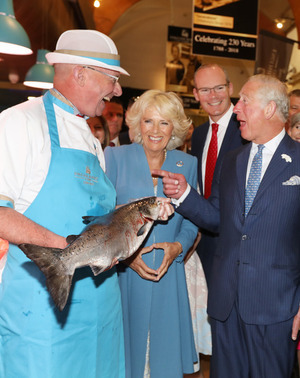 Quisling fishmonger Pat O’Connell, who met The Queen at her previous visit to the English Market in Cork, 2011 (top), and was subsequently invited to Buckingham Palace in 2014, with Britain’s Prince Charles, Camilla, the Duchess of Cornwall and Tanaiste SImon Coveney during the visit to Ireland by the Prince of Wales and the Duchess of Cornwall. 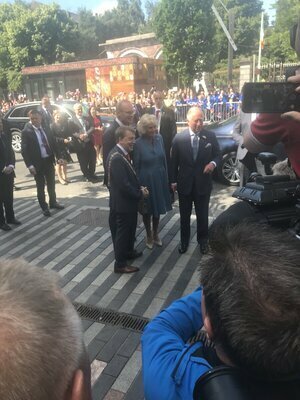 The couple are in Cork today, and will be visiting Kerry tomorrow. 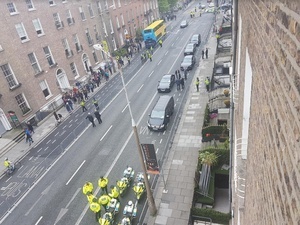 Expect possible Healy-Rae action. 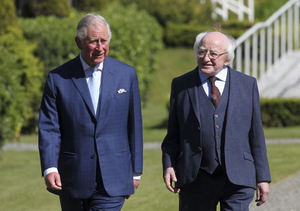 Posted in Misc and tagged Pat O'Connell, Prince Charles at 12:44 pm on June 14, 2018 by Bodger. 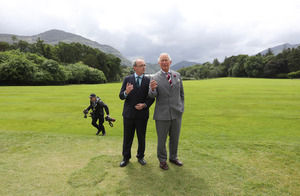 They Are Among Us/Was It For This? 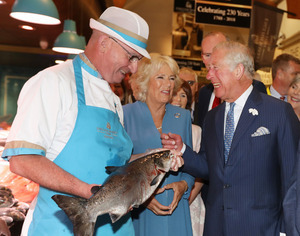 Posted in Misc and tagged Prince Charles at 12:16 pm on June 14, 2018 by Bodger. 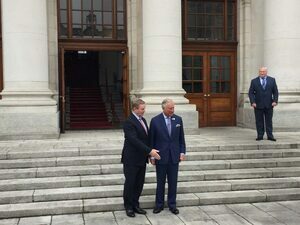 Taoiseach Enda Kenny welcomes Prince Charles at Government Buildings (top) and introduces him to staff from his department (above). 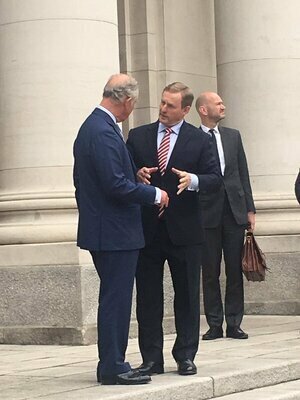 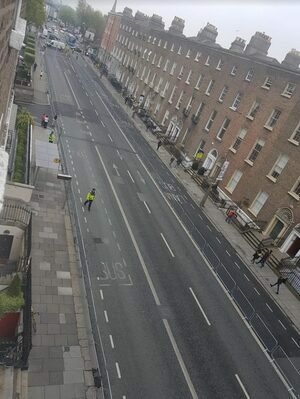 Posted in Misc and tagged Leeson Street, Prince Charles at 12:22 pm on May 12, 2017 by Broadsheet. 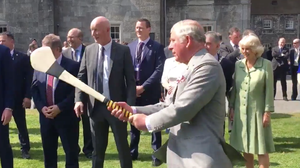 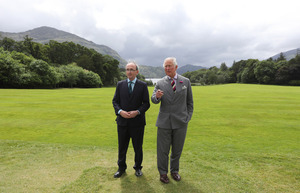 Prince Charles has a go at hurling in the grounds of Kilkenny Castle. 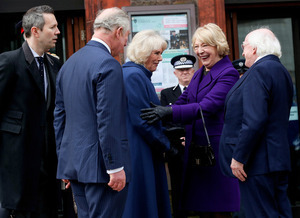 Charles and his wife the Duchess of Cornwall Camilla Parker-Bowles are currently on a three-day State visit. 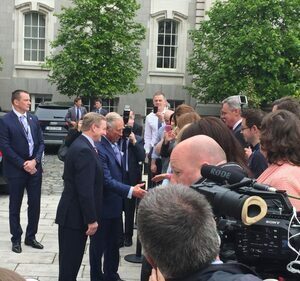 Posted in Misc and tagged Hurling, Kilkenny, Prince Charles at 1:21 pm on May 11, 2017 by Broadsheet. 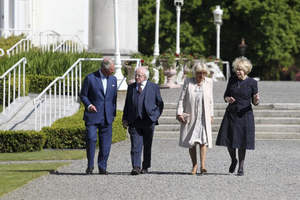 At Áras an Uachtaráin in Phoenix Park, Dublin. 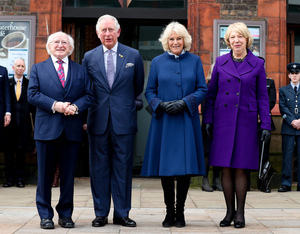 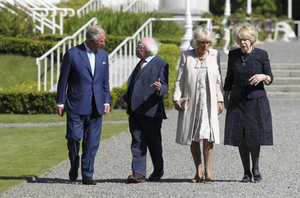 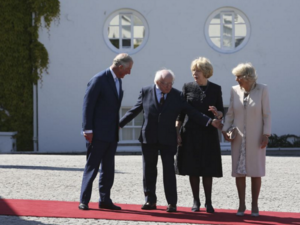 President Michael D Higgins and his wife Sabina Higgins welcome Prince Charles with his wife the Duchess of Cornwall Camilla Parker-Bowles on their three-day state visit. 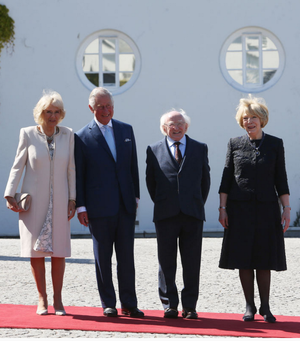 Posted in Misc and tagged Áras, Camilla Parker Bowles, Prince Charles at 5:33 pm on May 10, 2017 by Broadsheet. 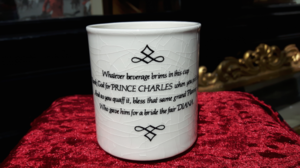 With Prince Charles and Camilla’s arrival to Dublin today, we have decided to mark the occasion with a bit of memorabilia of the man himself in the gallery window – a mug of a younger Prince Charles when he got engaged to Lady Diana. 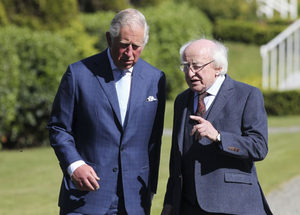 It’s the last of its kind and costs €20. Posted in Misc and tagged Balla Bán Art, mug, Prince Charles at 1:47 pm on May 10, 2017 by Broadsheet.